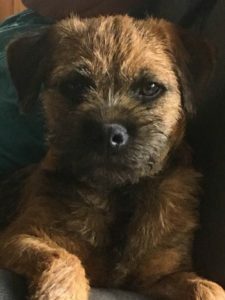 Cracka has come to use from Sue Mewse of Glenbogle Border Terriers in Melbourne. Cracka is a character, his tail never stops wagging and he has adjusted to his NZ life extremely well. He has had a good start to his show career picking up two Baby Puppy of Group awards and Baby Puppy Terrier at the 2017 Dogz NZ National Dog Show.